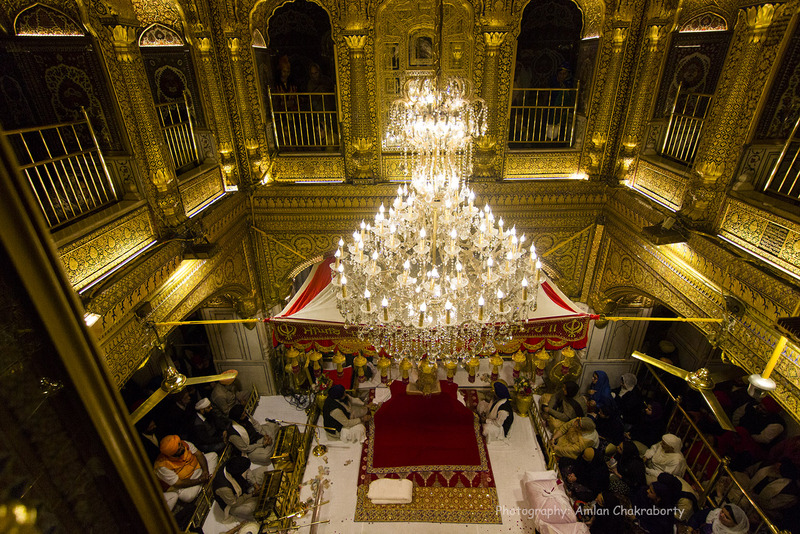 Harimandir Sahib (Golden Temple) is the first pilgrimage site built for Sikhs by Guru Arjan, fifth Sikh Guru. Gurudwara, the main temple is made of gold and houses the holy “Guru Granth Sahib” – the holy book of Sikhs. Gold is the symbol of purity. 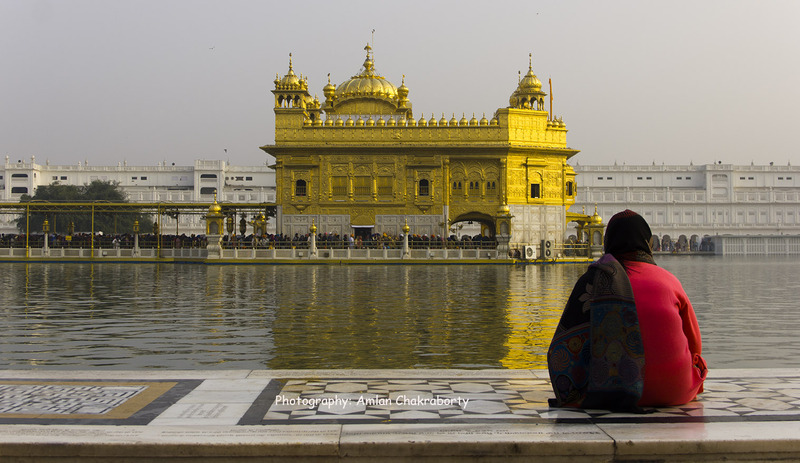 Sikhism was founded after a movement led by Guru Nanak where people from all the other religion came and formed it. They were disappointed with their own religion and joined together to make a better system. These people wrote the book under the supervision of Guru Nanaka after huge discussion among them about the good practice of all religions. This is the reason Granth Sahib is the book that consists of best of the best principle to follow. So, in other words Golden Temple symbolises the cultural richness of Sikh religion. The temple area is one square kilometer in size and the main temple is centrally located inside a sarovar (pond). There is a bridge between the temple and the main sanctum. First, I heard about Golden Temple or Harimandir Sahib in my childhood days. One of our family friend had a replica of the iconic temple in her show case. I got so astonished to hear that a temple is made of gold that I added it my to do list. 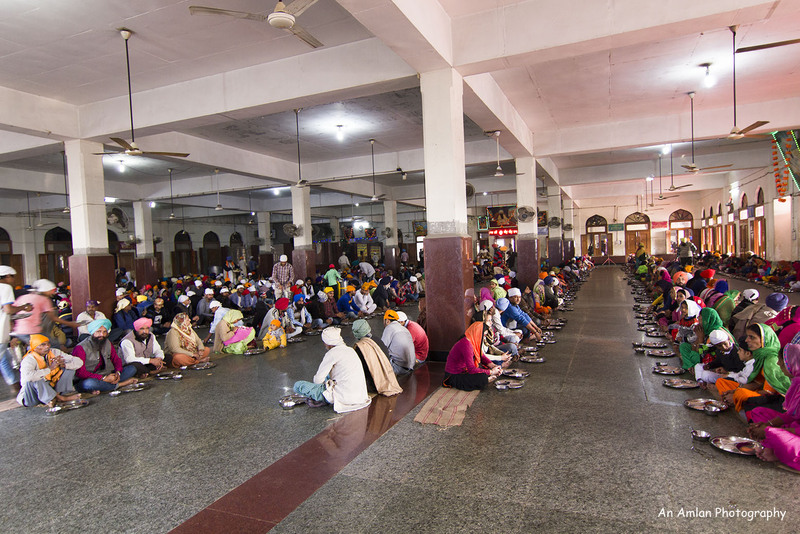 Secondly Langar was another attraction to visit there. Earlier I made two plans to visit Amritsar but due to some work pressure the initiatives got cancelled. Finally, I visited to Golden Temple in November 2017 with my cousin sister Sanghamitra, a guest lecturer in a college. We reached to Amritsar in the morning. After checking in to a nearby hotel we came to Golden Temple at around 9 AM and was inside the complex till 10 PM. Here I will share the experiences that I achieved in those 13 hours and these reasons will bring me back again to this place. “It is so neat and clean!!! Unbelievable!! !” The first words said by Sanghamitra. Sikhism is famous for their “seva” (free service for mankind). Everybody in the religion takes ownership to keep the area clean and systematic. There are several entrances to the temple complex. Right after entering in this area everybody needs to take their shoes of, deposit to the counters, and collect the metal token against it. The shoes are kept in racks. I hardly believe there are any dedicated person employed for the same but common sikh people, irrespective of social and economical class take the initiative to volunteer. “Seva” (free service) is the fundamental point of this religion. We observed people from subaltern class work together with elites. Changing shoes all the visitors can go to main sanctum of the temple after washing feet and hands in the small water tub that surrounds the temple area like a canal. I visited in the winter, so I experienced warm water. Then the visitors have to cover their heads with scarf kept in a bag and after all these steps, they are allowed to go inside the main sanctum. “Cleanliness is next to Godliness”, the cliche statement echoed in my mind. Actually, I feel that the cleanliness of the entire area added a serenity in this temple. More than 100,000 people comes here per day and everybody follow the above said protocol to get inside the temple. Once we entered we found a disciplined crowd inside it. Usually people belonged to Sikh community take a bath in the adjoining pond and with pure soul they wear a fresh cloth and queue up to get inside the temple complex. Separate change rooms are there for ladies. It was winter when we visited the temple but the water of the reservoir was warm. Slokas of Guru Granth Shaib is sung inside the Guru Dwara. At 9 PM the temple gets closed. Then the pilgrims wait till the next day. The temple complex has own accommodation and several hotels are there in the adjacent area. People of all the religions can stay inside the temple compound. Photography is strictly prohibited inside the main temple but with permission of the temple authority I managed to get a snap. Halwa, the “prasad” is served at the exit gate of the main temple. “Takht” means a throne of authority. There are five takhts in Sikh Religion. 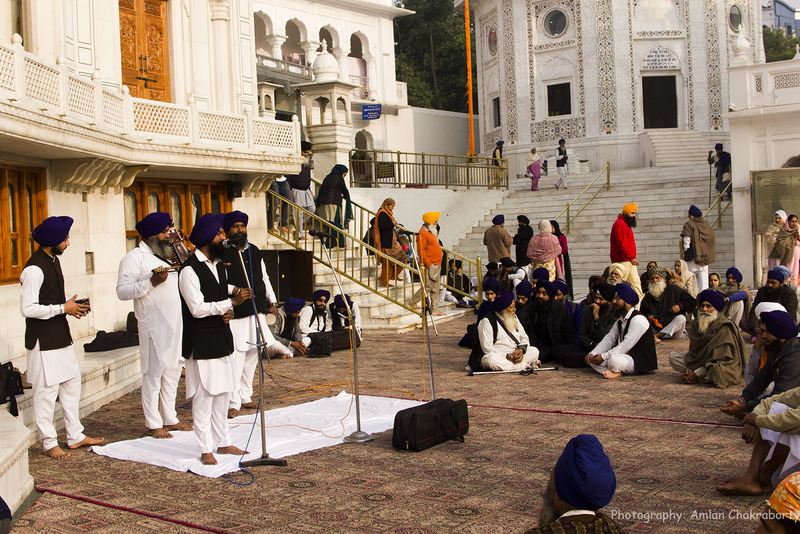 Takht is a place where the political and strategical idea of Sikhism is discussed. The main Takht is Akal Takht. The white building is located inside the Harimandir Sahib complex and its entrance is right on the opposite to the Golden Temple. 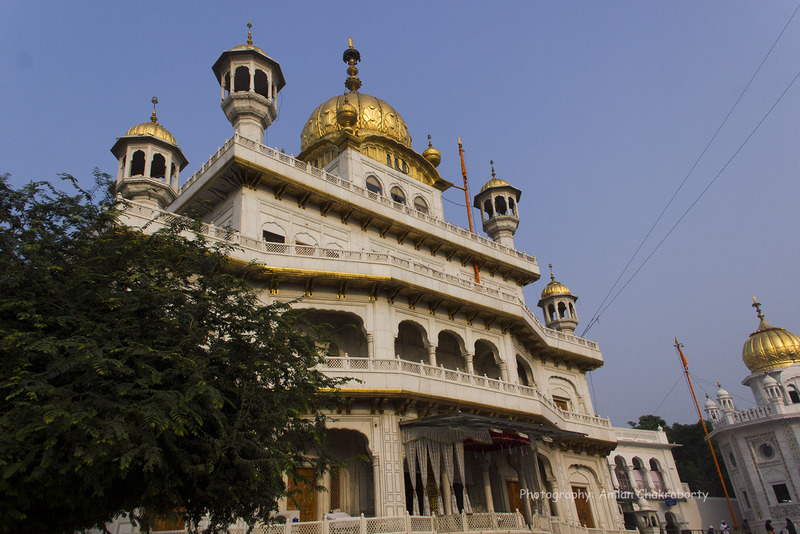 Akal Takht contains a room where the holy book “Guru Granth sahib” is used to be kept in night. The book is regarded as a person in Sikhism and so in other words we can say, Guru Granth Sahib is placed to sleep inside Akal Takht. Palki means palanquin. Palki Ceremony is a ritual occurs twice a day. 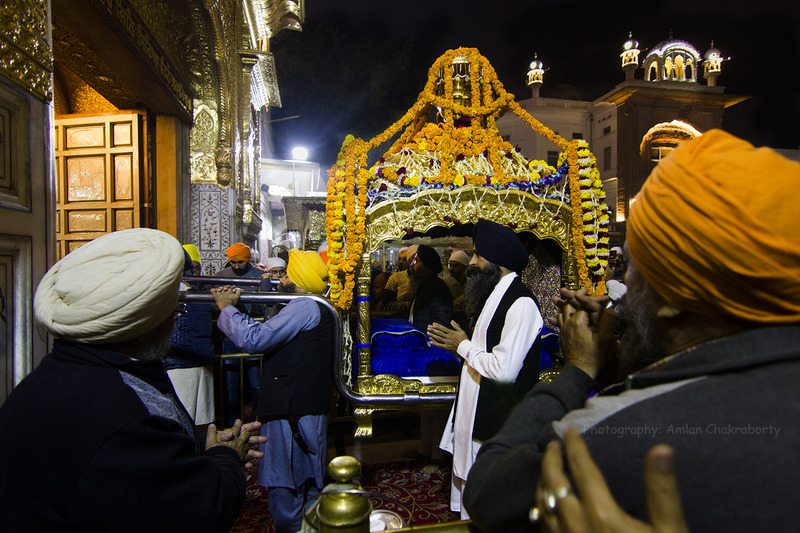 In the morning ceremony, Guru Granth Sahib is taken from Akal Takht and placed inside the Gurdwara and in the evening ceremony, the book is taken back to his dedicated bedroom (inside Akal Takht). The word “his” is used as I mentioned earlier that the book is regarded as a human being. This is an experience that everybody should have. 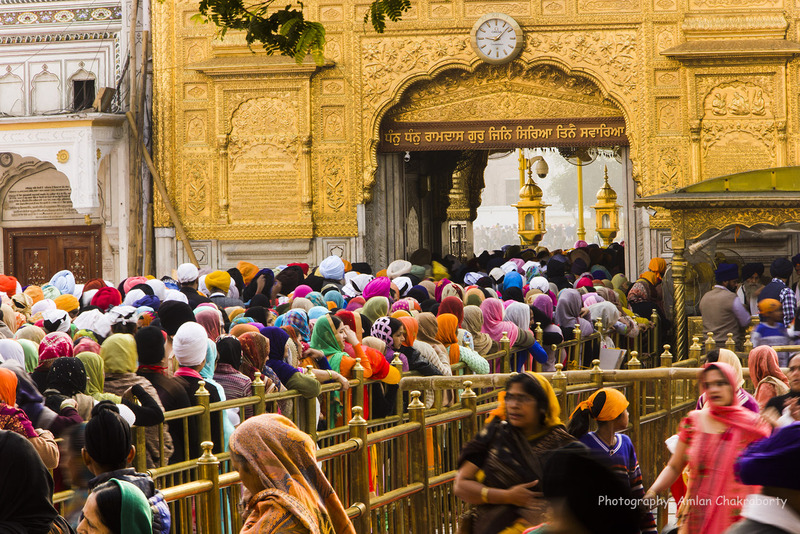 Located just on the south-west corner of the Golden Temple complex Langar is a part of the main complex. The kitchen serves basic veg-meal to more than 50,000 people a day. Irrespective of all the religions people come here, give free work and have meal. Detail about Langar can be found in my post. Visitors of Golden Temple must have a meal in Langar and also it is a great pleasure to give free work. “A temple that never sleeps” said by my hotel manager. I could not believe it before visiting there. The temple looks more elegant at night. 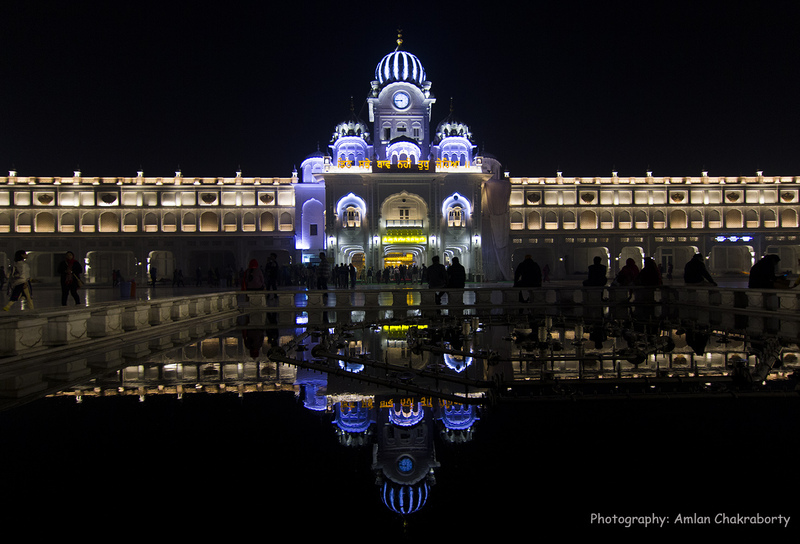 Seeing the reflection of the temple and Akal Takht are treats to eyes. The temple itself has accommodation that can be availed. Apart from that, there are lots of hotels with different range just out of the temple complex. Vegetarian meal is served in all these hotels. For non-veg food, please go out this Old Amritsar area.